My water pipes froze – now what do I do? As bitter cold sets in across the nation, frozen pipes are a frequent problem for many homeowners and businesses. While frozen pipes are common, they are also very preventable during the winter months because a little effort can go a long way in preventing home destruction from a burst water pipe. Plumbing located outside the house is the most susceptible to freezing because of the cold air. If possible, open cabinet doors to let warm air run to the pipes in the kitchen and bathroom. Consider pointing a space heater near the pipes to ensure there is ample heat around the plumbing. Don’t turn down the thermostat. Many people turn down the thermostat when heading to bed or work, but winter is not the time to do this. While it could help your heating bill, the chance of frozen pipes is much higher the cooler the house gets. Additionally, if you’re away or sleeping and the pipes burst, it could create more of a mess. During the winter months, nighttime is usually the coldest part of the day which could cause pipes to freeze. Going on vacation? Don’t turn off the heat, but do turn off the water. While it may seem like a waste of money to heat a home while you are away, leaving the heat on and set around 50 degrees Fahrenheit will decrease the chance of pipes freezing. To further decrease your odds of frozen pipes, do turn off the water while you’re away. While it’s possible a water pipe could freeze and break while you’re gone, the damage will be less due to the limited water available in the pipe, creating less problems. A drip can save you from disasters. During the coldest days, it’s a good idea to leave the faucet trickle to help keep water moving through the pipes. 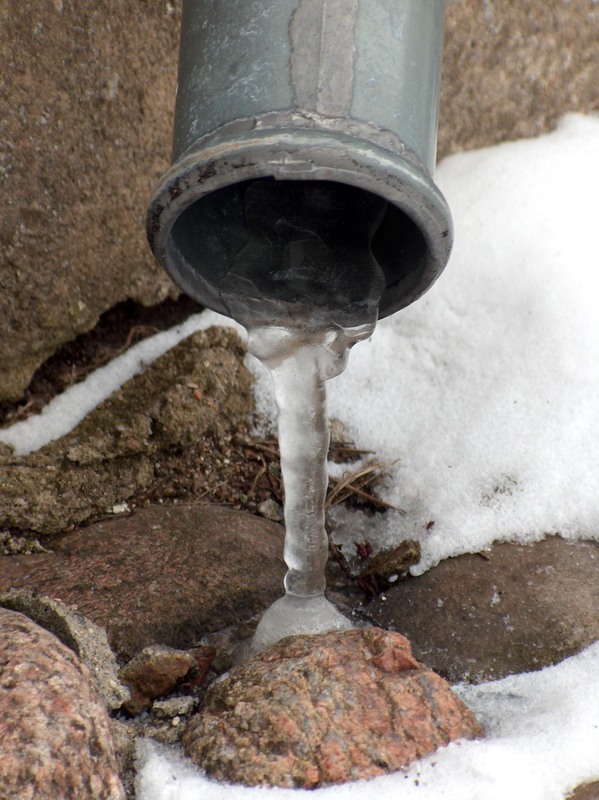 Moving water is more difficult to freeze, thus decreasing the chances of a frozen pipe. If you suspect you have a frozen pipe, please contact your warranty provider (if applicable) or a local plumber to address the situation. Attempts to unthaw the pipe on your own could cause cracks in the pipe or cause it to burst.